Spotted some refreshing pink in our garden; most of the flowers have withered though. Ein pinkfarbener Farbklecks im Garten; die meisten Blüten sind leider verwelkt. 6. doesn't the berry-coloured perenniel in the bottom middle look interesting? 6. die beerenfarbene Staude untere Reihe, mittig sieht doch interessant aus, oder? I've reached another milestone even more significant than the first one. It's been 24 months since my operation and happy to report that all test results have been normal. Which means full recovery is more than likely and less frequent visits to the doctor. Yay! den Bildern nach zu urteilen, hattest Du eine wunderschöne Woche, oder? ich staune auch immer wieder wie viele Ereignisse in einer Woche stecken. 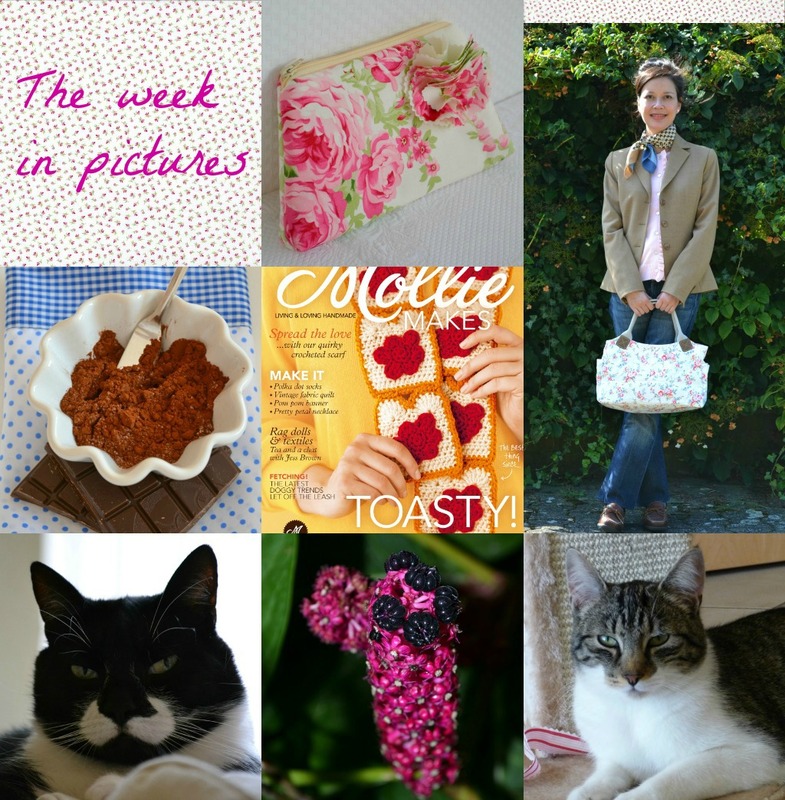 Thanks for sharing your week in pictures! Hope your business meeting went well. That berry color perenniel does look interesting! Loved your week in pictures. The pinks are beautiful. My garden is also fading away now, losing color, fall is creeping in on it. Hi Duni! That was one of the greatest news I heard today. Good health is really the best gift and possession anyone could ever have. I'm so happy for you. Wishing you full recovery and more strength for yourself and your business. You rarely upload photos of yourself and I'm so glad you made one this time. You rock in that outfit Duni. haha Btw, is that bag from Cath Kidston? Or you made it yourself. Congrats on reaching such an awesome milestone! I hope your business meeting went great! And what great news about your recovery!!! I love the pink flower it's so pretty. Hope the business meeting went well and congrats on the normal test results. To your health and a full recovery. So so glad to hear that about your health! You look great all ready for your business meeting. I hope that it went well. Of course your kitties are adorable as always. Great pictures! Of course the kitties are my favorites. Beautiful pink flower photo! Congrats on making 1000 sales ahead of schedule.